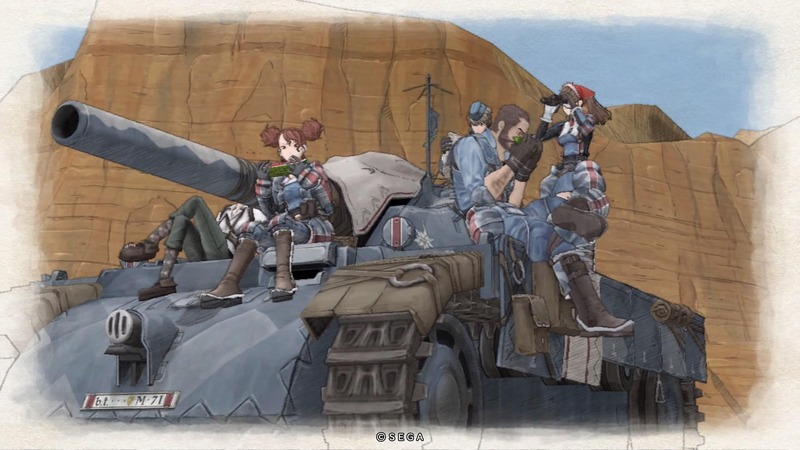 In a press release crafted very much like a wartime announcement, and fitting for this world, SEGA has announced that Valkyria Chronicles Remastered will be released in both North America and Europe on May 17, 2016. It will be released on PS4, rated T for Teen by the ESRB, and be priced $29.99/CA$44.99. Unfortunately it doesn’t give the Euro or Pound prices yet. But I should think that standard exchange rates will be relatively close to the final price. Here is the press release in full. It’s been a while since Valkyria Chronicles came out, so we created a trailer that highlights the fundamentals of warfare in Valkyria Chronicles Remastered. The unique “BLiTZ” Tactical Battle System combines turn-based strategy, RPG, and 3rd person shooter elements to make engagements both strategic and exciting. Seriously, this mechanic is one of the reasons the original game is a classic. Plan moves and organize units on the battlefield in Command Mode! Exercise your trigger finger in Action Mode! Manage troop classes and upgrades to ensure victory against the Empire! Just watch out for those enemy aces…. Whether you’re a hardened veteran of the Second Europan War or a fresh new recruit, a good soldier should familiarize themselves with the trailer below. Valkyria Chronicles Remastered will be priced at $29.99/CA$44.99, and is rated T for Teen by the ESRB. For more information, please visit valkyria.sega.com. *The case isn’t actually armor, so please don’t do anything foolish. This is a very exciting announcement for both fans of the series and for those who have always wanted to jump in. It combines a very interesting old time aesthetic with anime art style and a strong story. It will be interesting to see how many new fans it can create while we await the new entry in the franchise. If you also share our love of this unique series, stay tuned at Operation Rainfall for more information as it becomes available.